Thanks Brendan! What whity, fun drawings! 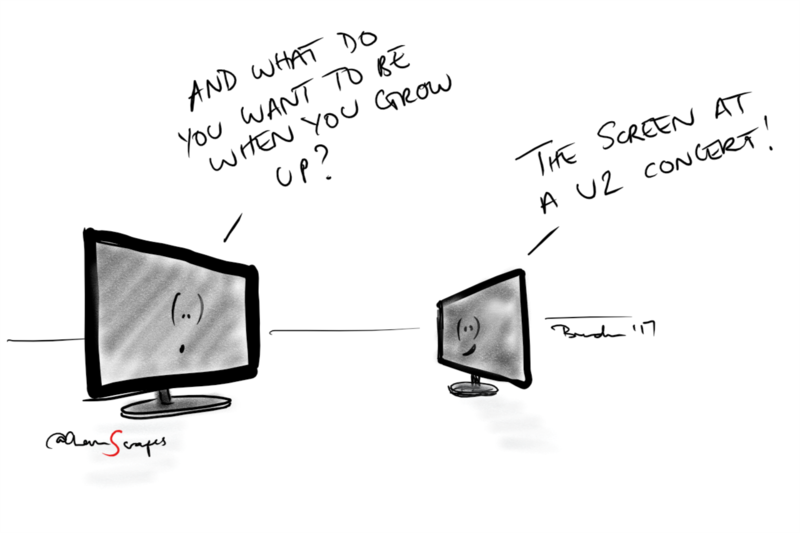 I want to be a screen at a U2 concert? Because they are the best band in the world? It's any screens dream isn't it? That would be the best job for any screen. To show everyone U2 on the screen? Every LCD screen gets a chance to change the world, pity the rock band that won't utilize you, boys and girls. Don't dream of the big screen, dream of BEING the big screen.